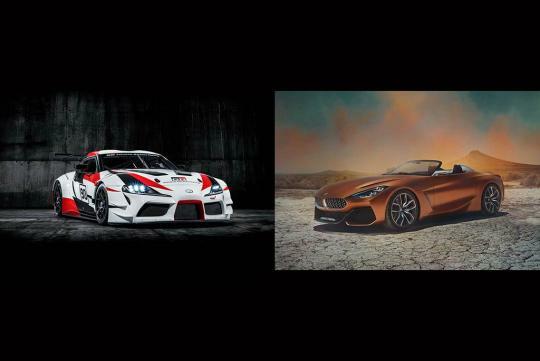 Toyota and BMW’s partnership was first formed in 2012 but until recently, the Supra and the Z4 are the first cars to come out from the collaboration. According to Road and Track which interviewed the Chief Engineer of the upcoming Toyota Supra, Tetsuya Tada, said that the two companies took two years to hash out their differences. It didn't help that the collaboration between Toyota and BMW is also quite different to the partnership with Subaru which produced the 86 and the BRZ. “We have quite a lot of differences in the terms of the way we make cars. The philosophies of the companies, as well as the mentality of Japanese people and German people are quite different. In that sense, we had to overcome a lot of differences,” Tada san said. “When we worked with Subaru, we started out with the aim of having as many common parts as possible between the 86 and BRZ. When we initially approached BMW, we thought it would also be aiming to have as much common parts as possible. But they had quite an unexpected reaction initially, saying ‘there’s no point in having as many common parts as possible if we cannot make a car that we each want. So we decided to first have a firm idea of what we, individually, wanted to make, and based on that, we approached each other and compared to see where we could have common parts,” said Tada san.